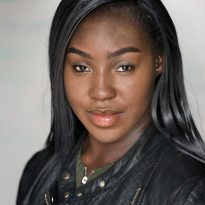 Marion trained at the Brit School of Performing Arts and then went on to further her training at Bird College where she gained a BA (Hons) Degree in Dance and Musical Theatre graduating in 2018. Credits whilst training include: Muzzy Van Hossmere in Thoroughly Modern Millie (Doreen Bird Foundation Theatre) Featured Dancer/Singer in Retro & Cirque, (Orchard Theatre, Dartford), Ensemble in 9 to 5 (Doreen Bird Foundation Theatre), Ensemble in The Chairs (Doreen Bird Foundation Theatre) and Dynamite in Hairspray the Musical (Ashcroft Theatre). Marion is thrilled to make her professional debut and would like to thank everyone who has supported and guided her, especially her mum.